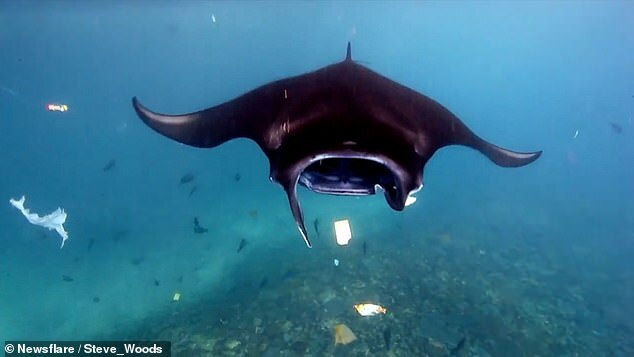 This is the shocking moment a manta ray swallows plastic rubbish off the Indonesian coast. The fish is seen swimming around in the ocean full of plastic wrappers and bags. 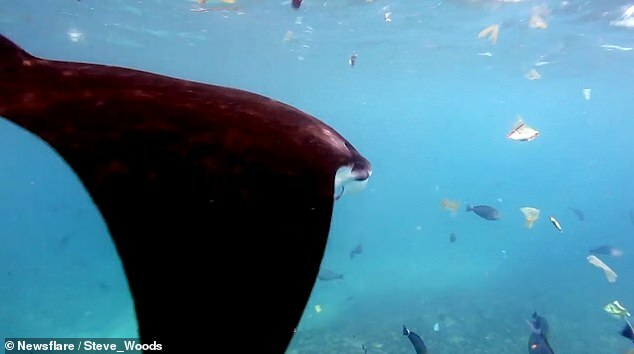 Manta rays, which usually feed on tiny plankton using a funneling method, had been feeding close to the surface in Bali. 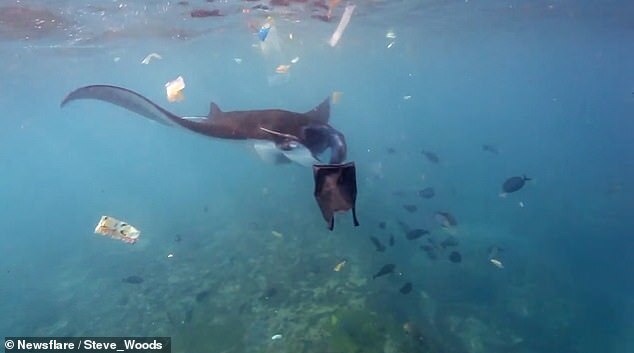 The footage shows the ray ingesting a piece of plastic and later spitting it out. According to reports, Bali has recently declared a garbage emergency after the most touristic beaches were inundated by plastic waste. A shocking 12.7million tons of plastic end up in the ocean each year which has a huge impact on sealife. Big pieces of plastic are choking and entangling turtles and seabirds and tiny pieces are clogging the stomachs of creatures who mistake it for food. Plastic is now entering every level of the ocean food chain and even ending up in the seafood on our plates.